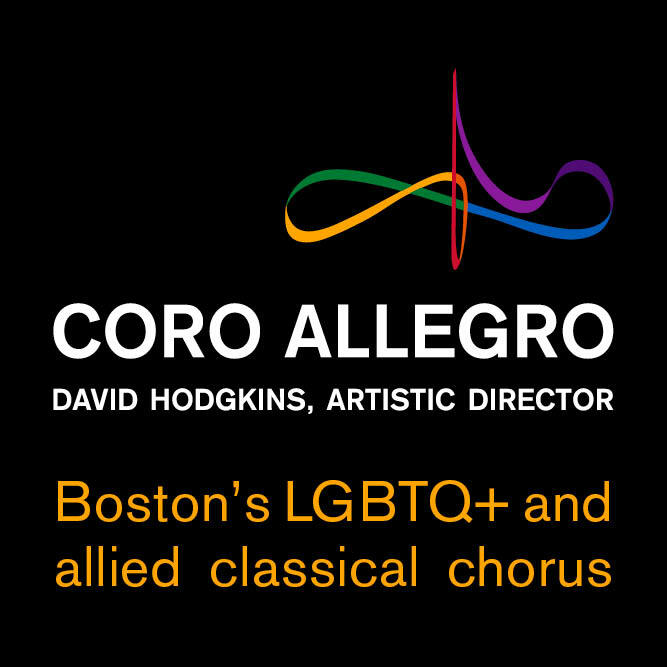 Coro Allegro is proud to be Boston's LGBTQ+ and allied classical chorus. 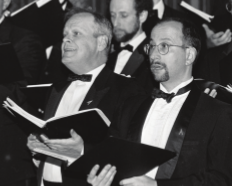 Over 25 years ago, David Cutler founded a Gay and Lesbian choir with a dual purpose - to build bridges between disparate communities while striving for the highest of artistic standards. And out of this, Coro Allegro was born. 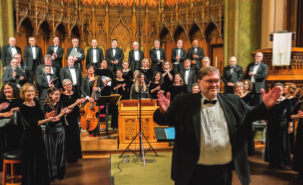 Under the baton of Artistic Director David Hodgkins, Coro Allegro has blossomed into a nationally recognized LGBTQ+ and allied classical chorus. Coro Allegro is known for award-winning programming, powerful commissions and critically acclaimed performances and recordings of works by diverse classical and contemporary composers. Coro Allegro is proud to offer a welcoming, affirming and supportive environment for performers and audiences alike of all sexual orientations, gender identities, and expressions. Each year Coro Allegro offers a subscription series that includes three concerts at venues such as the Church of the Covenant and Sanders Theater at Harvard University. Coro Allegro also reaches national and international audiences through broadcasts on WGBH “Classical Performances,” and performances at the Gay and Lesbian Association of Choruses Festivals, Chorus America, and the Eastern Division Convention of the American Choral Directors Association. In 2008, Coro Allegro established the Daniel Pinkham Award in memory of the late Boston composer and conductor. The award is given annually in recognition of outstanding contributions to classical music and the LGBT community. An advocate of contemporary music, Coro Allegro received the prestigious Chorus America/ASCAP Alice Parker Award in 2012 for its world premiere performance of Kareem Roustom’s The Son of Man. This award recognizes a chorus for programming recently- composed music that expands the mission of the chorus and challenges the chorus’s audience in new ways. Coro Allegro has released four critically acclaimed commercial recordings: In Paradisum and Awakenings on the Navona Records label, as well as In the Clearing and somewhere i have never traveled.